While the first phase of the trial was limited to determining whether glyphosate, the allegedly dangerous ingredient in Roundup, was a substantial factor in causing the plaintiff’s non-Hodgkins lymphoma, in the second phase the parties presented evidence regarding damages. First, the plaintiff testified regarding the treatment he had to endure following his diagnosis of non-Hodgkins lymphoma, and the pain and suffering his illness and the treatment caused. The plaintiff’s wife took the stand as well, offering testimony regarding the length of her relationship with the plaintiff and the detrimental effect of the plaintiff’s diagnosis on their life together. The plaintiff’s expert witness, a physician who specializes in the diagnosis and treatment of non-Hodgkins lymphoma testified as well. The compelling testimony offered regarding the hardship the plaintiff endured due to his illness was the basis for the $5.8 million compensatory damages and medical expenses award. Additionally, testimony was presented from both sides regarding whether Monsanto acted appropriately in light of what it knew or should have known about the dangerous side-effects of glyphosate. Specifically, both parties presented testimony as to whether Monsanto acted maliciously in failing to warn of the dangers of using Roundup. Further, the plaintiff presented evidence that Monsanto used its influence to restrict government regulations on the product and to limit research on the cancer-causing effects of glyphosate. 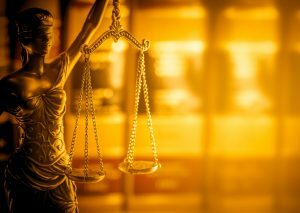 The jury ultimately found the evidence set forth by the plaintiff regarding the malevolent nature of Monsanto’s behavior to be more persuasive, resulting in the award of $75 million in punitive damages. As there are currently over 11,000 cases in multi-district litigation in which the plaintiff allegedly sustained non-Hodgkins lymphoma due to the repeated exposure to Roundup, it is anticipated that the punitive damages award in the subject ruling will have a ripple effect, resulting in similar rulings throughout the country. If you or a loved one suffered an injury or illness due to a defective or dangerous product, the Illinois toxic tort lawyers at Moll Law Group can assist you in seeking compensation from the parties responsible for your harm. At Moll Law Group, we assist parties in the pursuit of remuneration in Illinois mass tort cases. We also represent plaintiffs in mass tort cases throughout the country. We have successfully recouped billions of dollars on behalf of injured parties and are eager to meet with you to discuss your case and your potential claim for damages. We can be contacted at 312-462-1700 to set up a free and confidential meeting. Punitive Damages Permit Plaintiffs to Recover Greater Awards and Punish Bad Behavior, Illinois Injury Lawyer Blog, January 25, 2017. Jury Finds DuPont Liable for Toxic Dumping and Awards Man $5 Million in Compensatory Damages, $500,000 in Punitive Damages, Illinois Injury Lawyer Blog, July 20, 2016. Baby Powder Found to Cause Cancer; Moll Law Group Can Help, Illinois Injury Lawyer Blog, November 7, 2016.